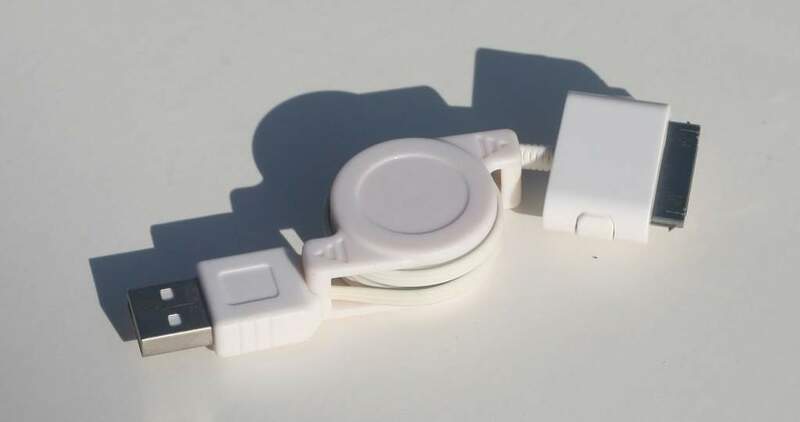 Retractable USB Cable for iPod allows you to sync and charge your iPod (5G, 4G, 3G, photo, mini, or nano) as you connect it to your computer anywhere you go. Its small size make it the ideal accessory to include inside your notebook case, a great solution for today's mobile professional. The flat cable design allows the cable to wind inside the reel, eliminating loose and tangled cables. Connect ipod with your PC/Laptop by USB port. Update music / data & more to your iPod through this data cable. Hotsync and charge your ipod at the same time.